I’ve known for some time that the healthcare system in America has a lot of issues. I’m in several pregnancy groups online where we have members from other countries who are often amazed at how our system works. I didn’t realize just how bad it was until the last few weeks of my second pregnancy. If you don’t have insurance through your employer you are left with either extremely expensive or extremely poor options for care. This is our story about what happened to us which will hopefully open some eyes. If you’ve encountered a similar issue please feel free to comment or email me at shari@diaryofasocalmama.com and be sure to share your story with your government representatives. My husband and I sat in the waiting room at our OBGYN office waiting for our 36 week appointment. We had checked in at the desk per usual, we’d been told when my health insurance changed to Medi-Cal that we had to check in at the desk each appointment so they could verify our insurance. The woman at the desk told us we could sit while she checked everything out. We sat there talking about the antics our 2-year-old had gotten up to that day and our plans for the weekend to finish decorating the nursery. Then, the clerk called us up to the desk. 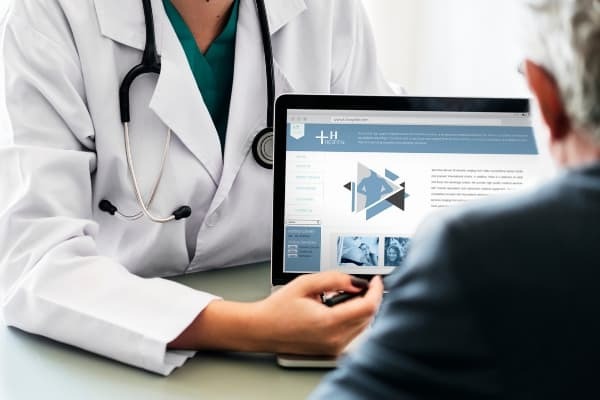 She said that unfortunately my Medi-Cal plan had changed and they could no longer take the version I had so they could not see me for my appointment. We were flabbergasted, to say the least, as we’d been there 11 days prior for an appointment and had no issue. I asked how much it would cost out of pocket to be seen while we figured it all out and she said they could not allow us to self-pay for our appointment since we had insurance. She handed us a paper that supposedly explained the insurance issue and we left the office, me in tears. At my 36 week appointment I was supposed to get my Group B Strep test, an important test at the end of pregnancy. Having regular appointments is also important, especially late in pregnancy, so they can monitor for any major issues that may require them to bring the baby early. Things like preeclampsia, placenta issues, a baby in distress. Any number of things can go wrong. Beyond the insurance issue I was simple amazed that they could morally or ethically deny me and my baby care at 36 weeks gestation! There is a fundamental flaw with a system that can allow these things to happen. My husband went back to his office and started calling people at both Medi-Cal and the Sharp healthcare system that our OBGYN belongs to to try to get it figured out. A day and a half later and we still had no concrete answers as to when or where I’d be able to be seen by a doctor. Read the latest update to our saga. In November my husband was blessed with a new job. It was a step forward in his career as this job was as an Associate Pastor, it also came with a nice pay raise for us. Much needed as I am currently a stay at home mom and we were pregnant with baby #2. We knew going in that the only downside was that his new employer did not cover dependents for health insurance. The few other employees said that they simply used the marketplace to get insurance, it’s called Covered California for us. As soon as we got word that he would be getting the position I started filling out forms and trying to figure out healthcare for me and my daughter. A process that started in late October is still ongoing at the end of February. We were still not sure exactly what coverage either I or my daughter had. 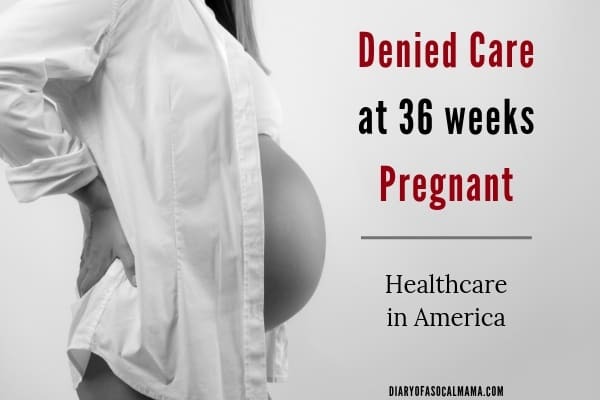 When we entered all the information, we were surprised that it said my daughter would be put on Medi-Cal and I would be put on something called MCAP, which is a special Medi-Cal program just for pregnant women. Supposedly I would be covered for the duration of my pregnancy and then would need to purchase regular insurance through the marketplace once my baby was born. When they say you are eligible for Medi-Cal you have little choice but to accept. You are not able to opt-out and take a subsidy to purchase regular marketplace insurance instead. If you have doctors you like that don’t take Medi-Cal, which a lot of doctors do not, then you have to leave all your doctors or pay out of pocket completely for insurance. To continue having our daughter see her current pediatrician and speech therapist was going to cost us $500 a month in premiums and co-pays. With Medi-Cal it would be free or perhaps a small monthly premium of $13. As much as we hated to do it, we had to go with Medi-Cal. This meant more phone calls trying to find a new pediatrician we liked and stopping her speech therapy until we could get things set up elsewhere. My husband checked with his workplace to see how much it would cost us to purchase healthcare for me and our soon to be two daughters…it would be $1,000 per month, just for the premiums. This does not include any co-pays, the cost of actually using that insurance. That would be about a fifth of our monthly income. In the midst of all this Medi-Cal is moving to something called managed care. Almost everyone on Medi-Cal is being stuck onto HMO plans through other companies like Health Net and Molina from what I understand. We have received no insurance cards to tell us what insurance plans we now have. But our current doctors do tell us that while they could continue to see us when we had “straight Medi-Cal”, they do not take these new HMO plans. Apparently, that was the change that supposedly took place with my health insurance. Somewhere in those 11 days between appointments I was, unbeknownst to me, put on some sort of managed care plan that my OBGYN would no longer take. I have received no information. We have received some sort of letter in the mail from our local Medi-Cal office almost every week saying something different. One will say they need more income information. One says we qualify and will receive more information. The next will say our coverage is being cancelled as we make too much money. Getting anyone on the phone can be quite a feat, and they don’t always have a clear answer either. So here we sat in late January, 3 months after I started trying to get us insurance through the marketplace. I was 36 weeks pregnant with a doctor that won’t see me and no idea how I’d even begin to figure out who does take my insurance, as I don’t know what insurance I have. Not to mention it’s quite difficult to find a doctor who will take you this late in the game. Since our missed appointment we spent almost 2 weeks of telephone calls trying to figure all this out. Someone finally mentioned calling a local healthcare advocacy group. They do at least seem to somewhat understand the system. One day me and the advocate called 3 different government offices and got 3 different answers. I probably spent 10 hours in one week on the phone with the advocate calling different places trying to get answers. But, we have since figured out that I do have something called MediCal Access Program which is a program specifically for pregnant women and I am in fact not on a managed care plan at all. Unfortunately, my doctor’s office still insisted that they do not take this particular program and would NOT consider seeing me. They claimed that someone else would have to see me, they couldn’t simply turn me away. Unfortunately, that is not the case. At 37+ weeks pregnant, I called many places trying to find someone who would see me a check-up. Most simply said I was too far along for pre-natal care and they either do not take patients this late, or they would take me but had no appointments available in the next 3 weeks. 3 weeks had gone by since my last check-up and most women are seen weekly at this point in their pregnancy to monitor mom and baby. Thankfully the UCSD healthcare system finally came through for me! They managed to find someone who would see me but I needed to bring them my records, I had previously tried to get my records sent to them to transfer to a midwives program there but Sharp dropped the ball and sent incomplete records and the midwives will only allow you to transfer up to 32 weeks so I had to let that dream go. I was able to get them my records and be seen by a doctor the following Monday. I can’t say enough good things about the doctors at UCSD. We were able to get all my tests and check-ups completed including a growth ultrasound, Group B strep test, blood work etc. It was found that I was anemic and had a marginal cord insertion. A few weeks later I gave birth to a healthy baby girl and despite all the problems leading up to her birth we had a beautiful birth experience. Something about this system is broken. I am generally a Democrat and my husband an Independent, but he’s so upset he’s threatening to turn Republican! This system was supposed to provide us with affordable coverage and allow us to keep our doctors. Our only option seems to be unaffordable coverage or leaving all our doctors. Or not being able to get care at all at 36 weeks pregnant. I worry about who else is falling through the gaps in the system. My husband and I are both well educated and have backgrounds in social services so we are somewhat knowledgeable about navigating systems like these. But even we have struggled mightily to get all of this worked out. We’ve heard that with this transition to managed care others are finding themselves in the same boat as us, with doctors that will suddenly no longer take our insurance, this includes other pregnant women like myself as well patients with serious conditions like cancer who need to see their doctors. I hope by making this issue known and encouraging others to speak up as well it will eventually lead to change. I honestly can’t imagine going through something so horrific this late in pregnancy. I’m just shy of 38 weeks and I think I’d have a breakdown if I found out my clinic would no longer take me. I’m so glad it all worked out in the end, but what a way to spend your last month pregnant – especially when it’s so crucial to see a doctor every week for those important updates! It was definitely a nightmare! But in the end, I was so glad I transferred. I had a great birth experience. Good luck with your labor and delivery!